People can be allergic to animals of all kinds. But pets can also experience allergies and allergic reactions to foods and other items in their world. In fact, there are a few different types of allergies that can affect pets. Like people, it can be seasonal caused by pollen and other environmental elements. It can also be from household products you’re using, and then last, food or other things they’re ingesting. Signs of allergies can vary, including by species. But generally if you notice your pet scratching or licking a specific area (often the feet), watery eyes, red, itchy bumps on the skin, hair loss, and wheezing or other issues, it can be due to allergies. Some animals may vomit or cough due to food allergies as well. There are signs and symptoms of more serious, but less common, allergies too, including hives and facial swelling. Though most allergies are not life-threatening, pet owners need to be cognizant of any unusual symptoms or behaviors by their pets. Pet allergy treatments vary, and there is a growing number of pet owners who are seeking whether or not natural remedies may be an option. While there is information on the internet about allergies, it can be hard to know what you should consider, and what you should not. 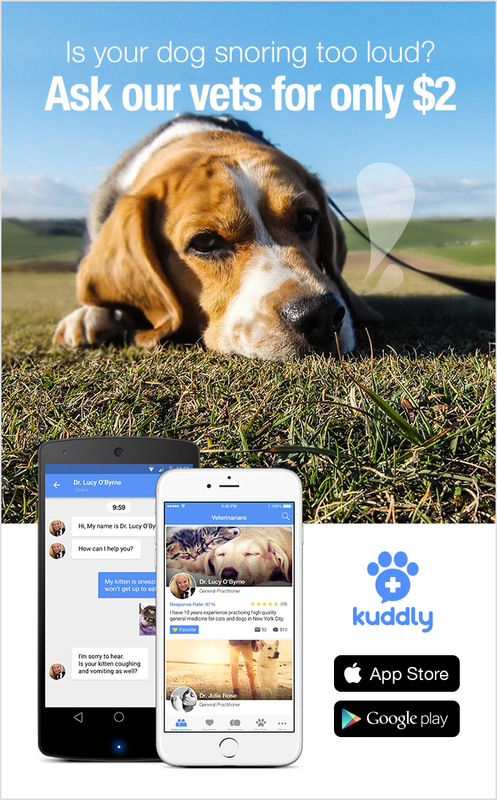 You can ask a verified, professional veterinarian these questions, and all of your questions about pet allergies, on Kuddly. We’ve got veterinarians around the world who can share insight and help!